i wish it was drink caused my lack of stability!!! unfortunately one of my new knees decided it had enough of standing around and simply packed up. 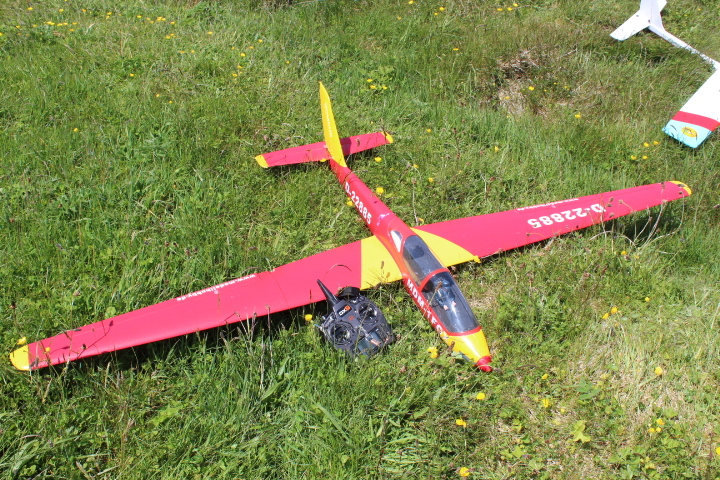 besides fred's asw 15 which was really impressive as it sliced through the air, other models to fly included both pete's and ralph's quarks, my own salto and a v-tail belonging to pete, the name of which escapes me at the moment. just a gentle reminder (always the best kind i think you'll agree!) 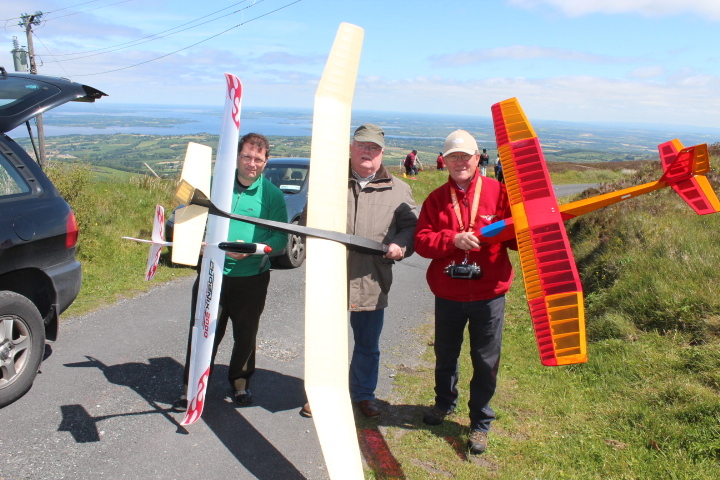 shannon mfc glide - in is on saturday 13th june on tountinna near balina, co tipperary. 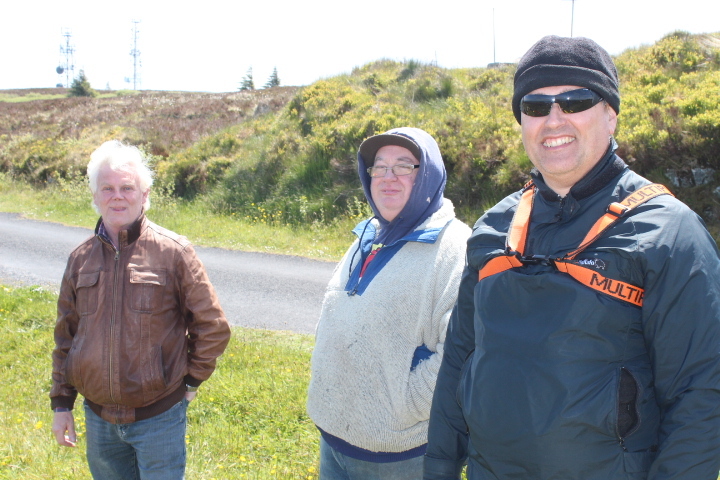 Bit far for me for a one day event gerry, but good to see you out & about. 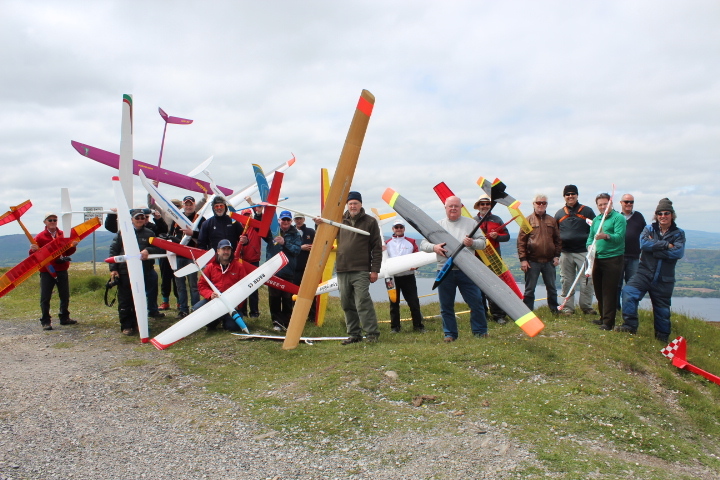 yea, great day, great turn out, lots of flying. 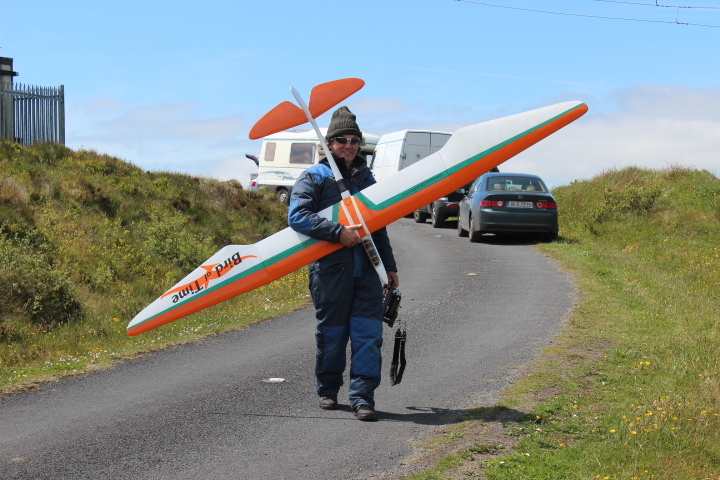 sat 13th, shannon mfc glide-in, tountinna. 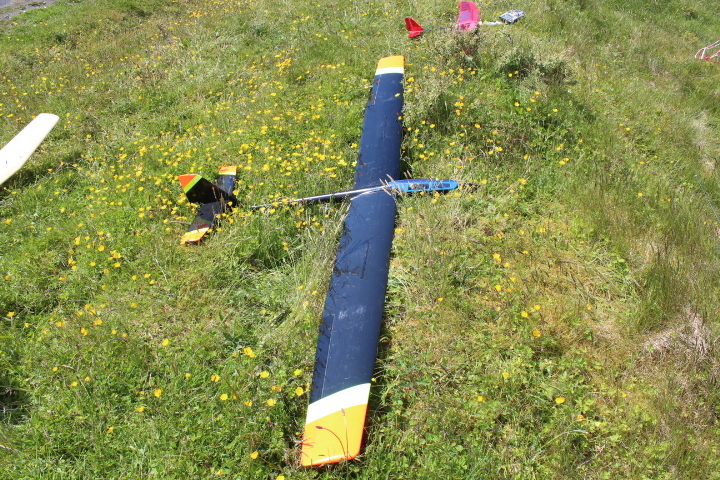 forecast was for northerly winds, 12kts (f4) decreasing as the day went on. 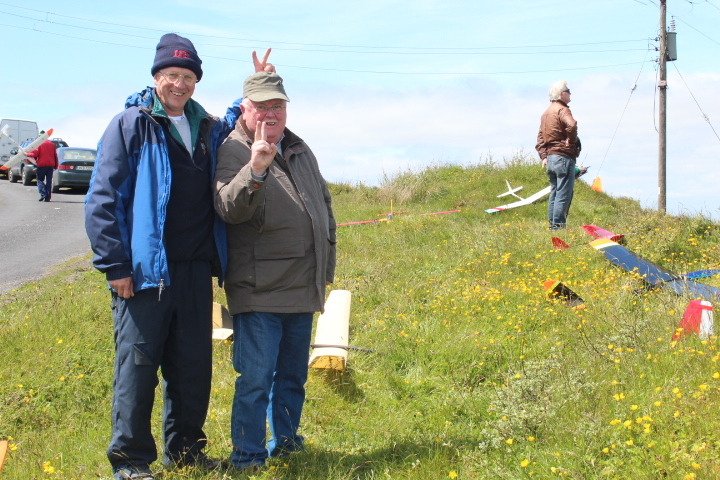 a great day, 20 pilots took part and i think everyone enjoyed themselves. 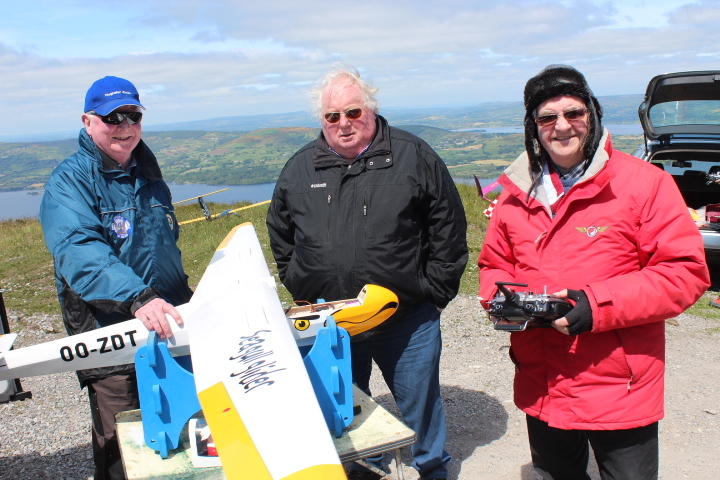 the forecast was spot -on, good breeze on the northerly slope but interestingly, the lift came and went which made for some challenging flying at times. those of us who had electricity as back up were glad to use it from time to time. 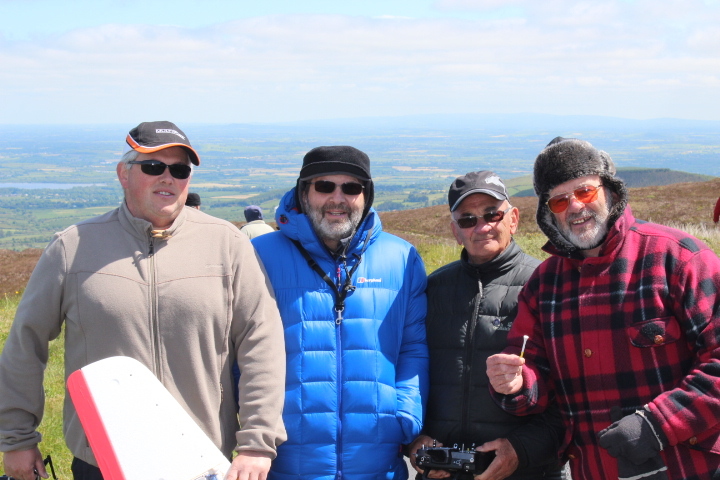 as the wind dropped, we were able to pick up some thermals and get to great height at times (well done andreas and kieran). 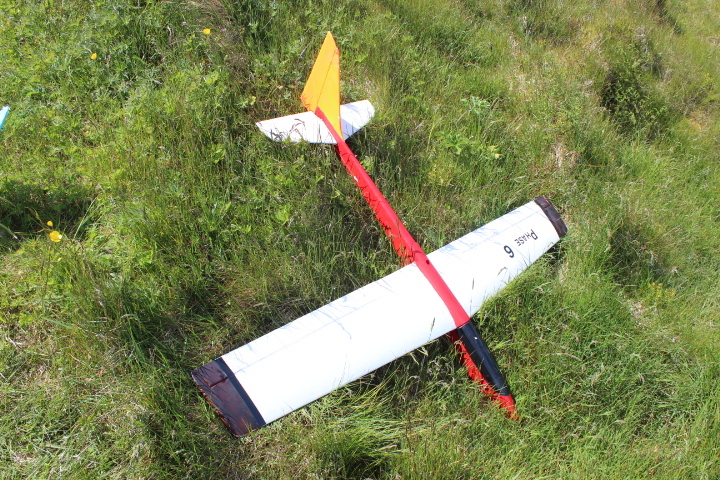 later on in the day, the wind backed nnw and we backed with it. now we were able to make use of a better slope. 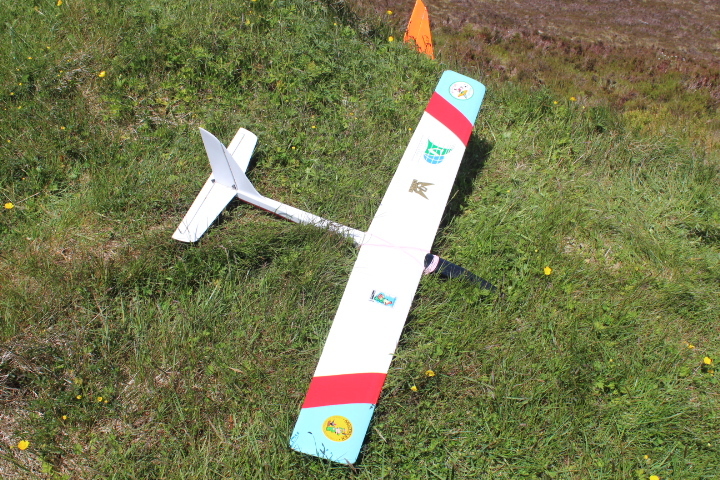 a great selection of gliders were on display, not all flew as the iffy lift meant some pilots chose to stay grounded rather than risk long walk outlandings. flying finished about 5.30pm, at which time we packed up and headed home. i would like to thank everyone who took part in the event for their support, some travelled long distances to be with us. 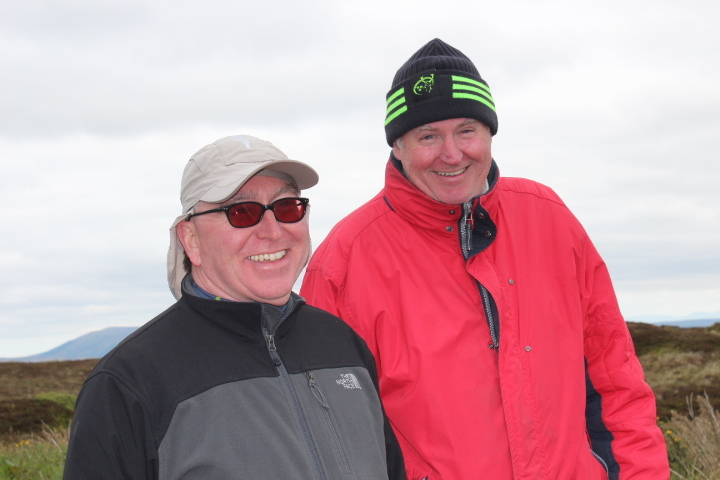 a special welcome to ross porz who was on holidays in ireland and joined us during the day. 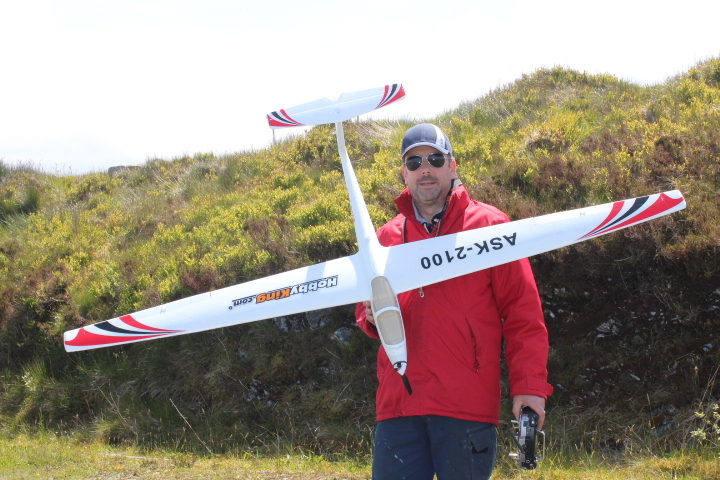 ross is from australia and normally flies flat field thermal soaring so he was delighted to see slope soaring first hand. 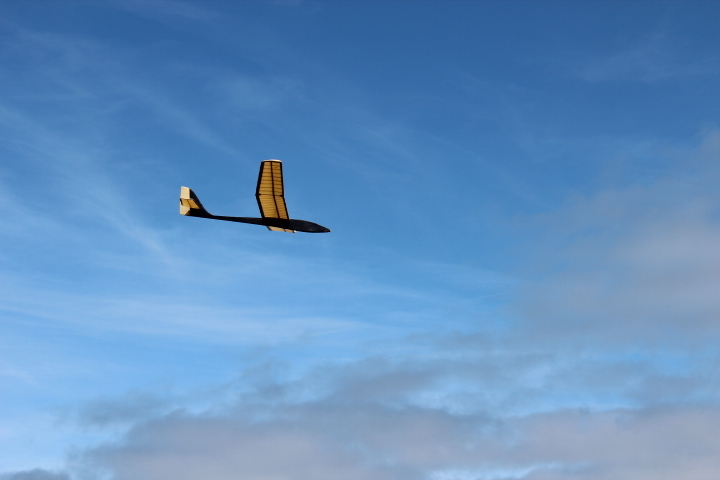 some more..... wally launching the sunrise and in the air. 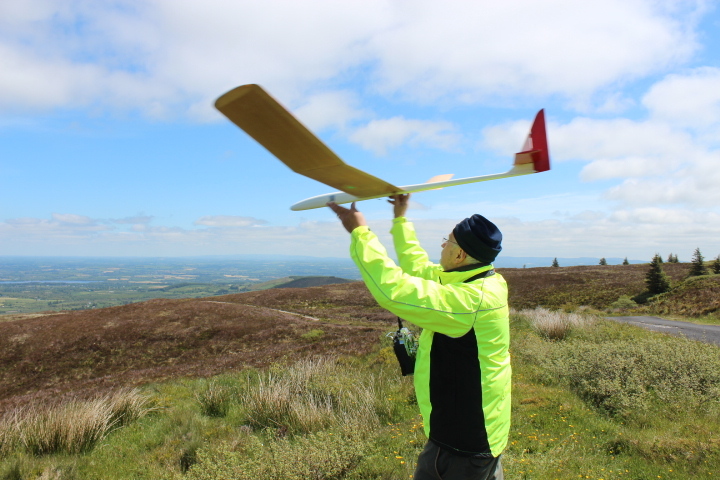 pity these are out of production, lovely light air gliders pete about to launch a very old algebra. 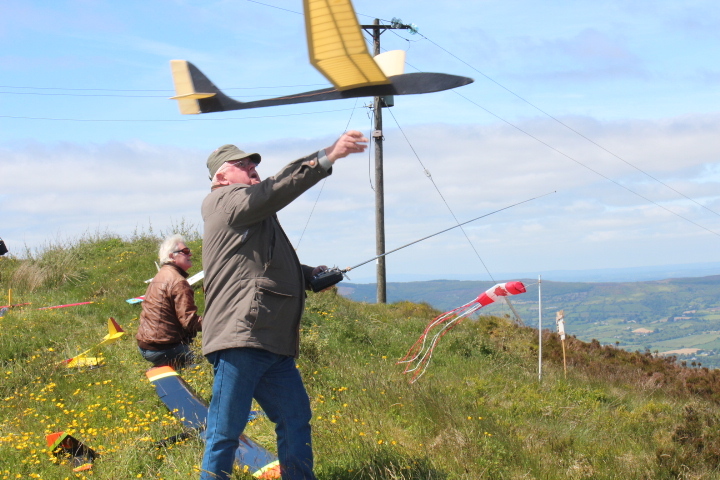 had trouble with one airbrake but this did not stop him flying it george with bird of time. there are always a couple of numbnuts around......!!!!!!! almost forgot the group photo........ l to r alex, matt, john, ralph, andreas, jack, brendan, kieran, tom, gb, pete, noel, wally, les, joe, chris, mike, ross, george. Nice pictures Gerry. I'm sorry I could not make it.